It's been about six weeks since the release of Firefox 20, so assuming Mozilla stays on its usual schedule, Firefox 21 will make its debut on Tuesday. 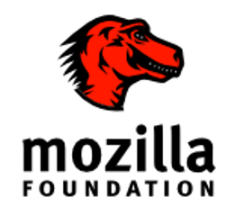 This next version of the popular open source browser has already attracted attention for the changes brought in early versions to Firefox's “Do Not Track” capabilities, but those are by no means the only interesting additions we'll see. Several changes and new features are slated to arrive in the final version of Firefox 21, in fact. Here's a quick rundown of some of the highlights you can expect to find. Firefox fans may recall reading last fall about the new Firefox Health Report tool for tuning up the browser, and it looks like Firefox 21 will offer a preliminary implementation of that feature, according to the beta version's release notes. Also aiming to help users improve performance, the new Firefox 21 “will suggest how to improve your application startup time if needed,” the release notes explain. Targeting performance from a graphics perspective, meanwhile, a number of graphics-related performance improvements have apparently been made as well. Last but certainly not least, Mozilla in this release has also been working on expanding upon the Social API it released last fall with Facebook integration to include other social providers as well. Cliqz, Mixi, and msnNOW are the three it has been testing over the past few weeks, with Weibo integration coming soon, according to an April post on Mozilla's Future Releases blog. Watch for Firefox 21 tomorrow. It's slated to be available as a free download for Windows, Linux, and Mac on the Mozilla site.